Until very recently, Ysa Yaneza never imagined that she’d be writing, producing, and performing her own music. Though she’s been performing since the age of 4, the Philippine-born artist didn’t consider producing her own music until she was 18, when she started experimenting with music software. After releasing her critically-acclaimed debut single “Tea” last year, she’s graduated from college and has hit the ground running with new singles “IRL“, and most recently, “Max”. Read our interview with Ysa Yaneza below — but first, watch the music video for “Max”. So Max is a representation of people you could meet online. There was someone last year, and he was in my class and we only started talking when we met online. It was so weird because I felt close to him because most of our conversations were through text. And it was kind of just mind-boggling to me, and I just kinda wrote this song out of a silly frustration cause it was so hard to make plans with him. Just boy problems. “Max” and “IRL” seem like they’re related — are they? It’s sorta the same theme, but “IRL” wasn’t inspired by the guy who inspired “Max”. “IRL” was just about the general idea of how we lead two lives because of the internet, like our real lives and our social media lives. And how different is your social media persona from you in real life? A lot of my friends tell me I’m pretty much the same, but perhaps I post just a part of me on the internet. I definitely like to post pictures of me wearing nice clothes, cause it’s something that I love to express myself with. I love fashion. And I would post snippets of what I’ve been working on, so that’s what you get when you follow my social media accounts. I’m just doing me. 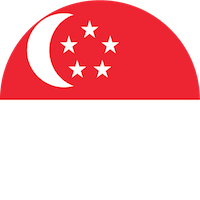 What are some of the challenges that you’ve encountered in the Singapore scene? I think when you’re doing something new here, it takes a while for people to be interested and to listen to you. And not a lot of people are making bubblegum pop here. So it’s kind of taking a while, but it’s also something that I really enjoy. And I think if I do it right, it could have the potential to appeal to the masses. Other than that, because I don’t look like the typical pop star that people would expect here, I feel like I have to work extra harder. But I’m just being me so I want my music to sound like it is coming from me, from my heart. Do you encounter trolls on the internet? For my recent release, “IRL”, there were some comments on the way I looked. But honestly, I’m a musician and I’m here to make music, so it doesn’t really matter to me. If someone comments on my music, then yeah, I’m gonna start to wonder, what is it about my music that isn’t being liked? Your music videos feature a lot of diversity — is this intentional and what kind of statement are you trying to make? Sometimes it’s intentional, like in “Max”, I wanted to showcase Asian beauty. Sometimes it just happens naturally. For “Tea”, a lot of the people featured were just friends I hung out with, and they happened to be the easiest people to ask to be in my music video. So the music videos can simply be a reflection of me or what I’m observing or seeing. You’re very comfortable in your skin — is body positivity something you’re conscious of? Initially, I wasn’t even thinking of promoting body positivity. I mean everyone looks different, everyone could either be really skinny or really curvy. Eventually, I think people start to think that I’m trying to promote body positivity and there’s nothing wrong with that. I love that people are seeing that through my work. What tips do you have for young people struggling to find confidence? For me, I really gained self-confidence when I started to appreciate other’s beauty. That’s when you start to realize that you’re one in a million, and you start appreciating your own looks because you understand that everyone looks uniquely beautiful in their own way. There are so many millennials who love this album and get very emotional to this album, and I can say the same thing. I’m not sure if it’s because it sounds completely different from the things that were hyped at the time. It was 2013, I think EDM was the in thing. And then Lorde came about and she sounds very organic and her beats are simple. When I first heard this album, I’d never heard anything like this before. I never thought pop music could sound this way. This is kind of an oldie. I think it might’ve been their greatest hits album, but I stumbled upon it on Spotify in, like, 2013 or 2014 and the album completely changed my life. It’s very ambient. I think there’s a charm in the fact that you can’t really understand their lyrics. So you were forced to listen to the movement of the music itself. And that really made an impact on me.